I couldn't think of a title to this weeks blog as my brain feels frazzled, so hey that's the title. Last week was full on, we had very little stock left so we had to have a big push during the week to make enough for the weekend shows. Monday was pretty good, treated the Mrs to a cooked breakfast, gave us an hour to sit chill and try and reflect on how our life is changing for the better. It was a really nice moment. We amazingly got through to the weekend with plenty of stock..even the lady who helps us on a Thursday (you know who you are) was on fire and was bottling like a woman possessed. I had a bad feeling about my show before I got there, was up at 4am so was grumpy before I got there. When I arrived no one had an idea what they were doing..some miserable cheese lady pinched my location. I ended up having to move my gazebo twice. Fuming was an understatement. I then couldn't find anywhere to park the massive hire van I had then eventually found a parking bay on the side of the road, Ideal, I ignored the sign which said maximum stay 1 hour and the fact the back half of the van was sticking out the box onto double yellow lines, plus the police station opposite and locked the van and proudly walked back to the stall. Had a pretty good day, met lots of nice people including a lovely couple who had seen us on here. Just before packing up time the heavens opened. Typical. I had to pack down and carry everything 150m to the van in the pouring rain. 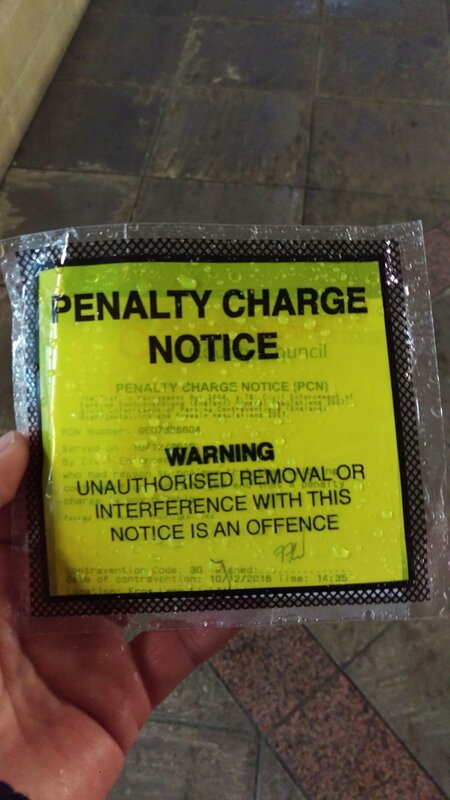 When I got to the van I was delighted I wasn't clamped, then peeved when I saw the all too familiar yellow plastic sticker on the windscreen. £50 fine, I guess it serves me right. Sunday was good, albeit uneventful which brings us to here and now. This is the week we announce the winners of the hampers, I hope whoever wins them has a great time drinking them, and maybe just maybe send us a couple of pics..
Puppy's are doing well, Flo is having her first walk this evening.